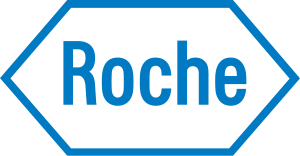 Roche yesterday announced that they are increasing their collaborative efforts with academic researchers to deliver the next generation of targeted therapies for unmet medical needs by creating an external academic translational research hub in their home market. The hub in Zurich, Switzerland will be four-way collaboration between Roche, ETH (the Swiss Federal Institute of Technology) Zurich, the University of Zurich and the University Hospital Zurich. Translational medicine is the application of research technologies to patient care. Academic researchers from the institutions will team up with Roche to explore new therapeutic and diagnostic approaches in areas such as disease pathology, cancer, dermatology and inflammation. Experts from Roche will work with scientists from ETH, the University of Zurich and the University Hospital Zurich to define joint projects, with Roche providing unspecified initial financial support for three to six years. The joint initiative will draw on ETH’s recent significant investments in the molecular health sciences, which will provide the framework for an assistant professorship to study RNA (ribonculeic acid) functions in disease and develop novel RNA-based technologies. University of Zurich and the University Hospital Zurich will contribute, respectively, their knowledge in molecular pathology techniques and the clinical infrastructure for research, while Roche will bring its drugs and diagnostics, as well as participating in joint content development for the research projects. The initial project will include a biomarker survey in oncology drug patients, developing RNA technology tools, and programmes related to pathways and assay development in pathology. “External collaborations with academic institutions are at the core of our strategy and are fundamental to develop the next generation of treatments in areas of unmet medical need,” commented Jean Jacques Garaud, global head of Roche Pharmaceutical Research and Early Development. As Professor Doctor Daniel Wyler, vice president, medicine and science at the University of Zurich, pointed out, the Hochschulmedizin Zürich was recently set up to promote medical research collaboration between ETH, University of Zurich and the University Hospital Zurich and to facilitate partnership with industry via a single entry point.